Food costumes are classic Halloween favorites. 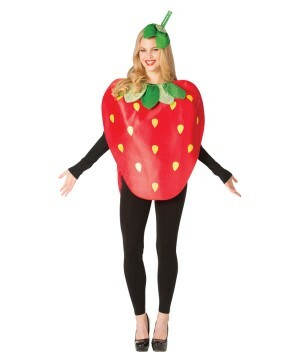 Shop fun food themed costumes so you can have a real treat this Halloween with anything from a vegetable to a candy bar outfit and everything in between—fruits, meats, fast foods, breakfast foods, drinks, condiments—you name it! 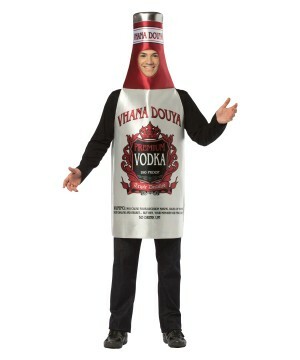 A selection of nourishing and funny Food Costume for the entire family! 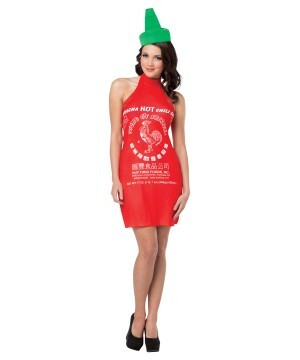 Spice Up Halloween with an Awesome Food Costume! Food costumes are not edible but they are just as enjoyable as a yummy bite. It is no secret that food is a vital part of human survival, and it is also no secret that if someone dresses up as a giant piece of food, it is absolutely hilarious. 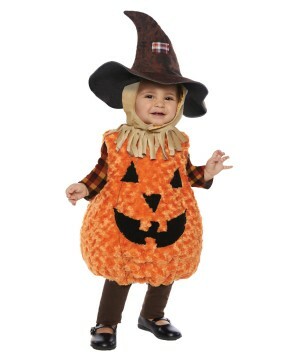 Food costumes are classic novelty and Wonder Costumes has the recipe for a perfect Halloween! 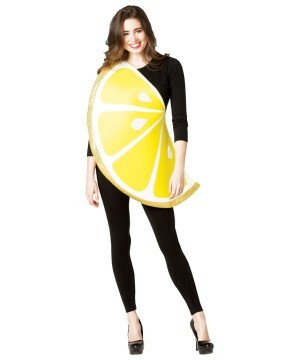 A food costume is not your typical Halloween getup, so there’s no better way to stand out. 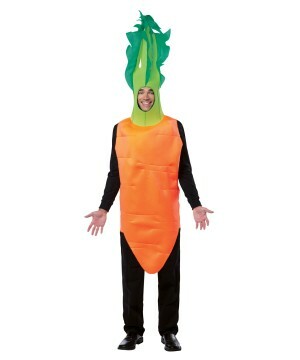 If you are looking for an outfit that will be memorable, look no further than our food costume section! Show up to your office dressed as a giant orange or milk shake and you will be the boss of the party! 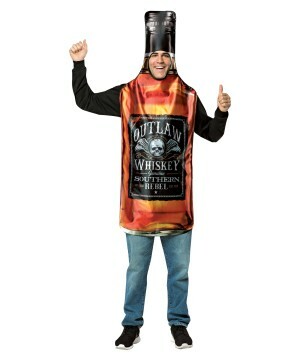 Everyone wants to dress up as their favorite superhero, a zombie, horror movie icon, pirate, etc. 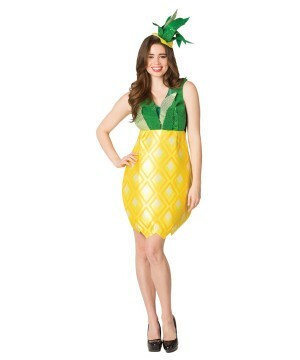 ; be different and get yourself a funny fruit costume as a tasty option! What Makes Them So Funny? 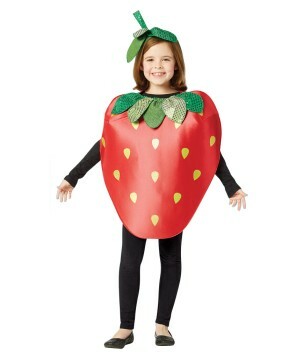 If you’re like most, you’ll find a grown adult in a strawberry costume to be pretty darn hilarious! 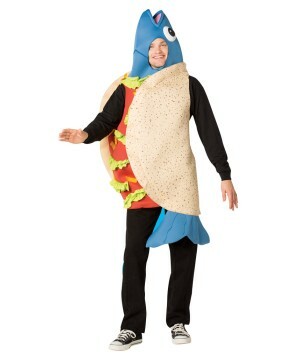 There is something inherently funny about food themed costumes. 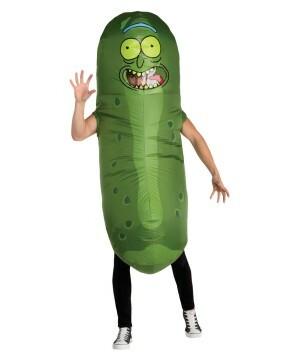 If you want a costume to have your peers dying of laughter, there is nothing more appropriate. 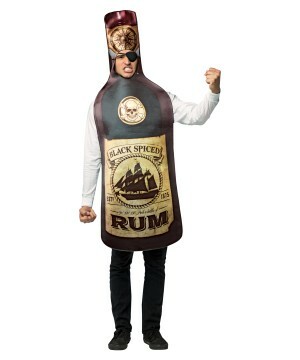 Yes, there are many other costumes that have the potential to be funny, but a food or drink costume is a sure fire way to get some laughs. If you look all over television, movies, and music videos, food costumes are used for comedic effect time and time again, and it works! 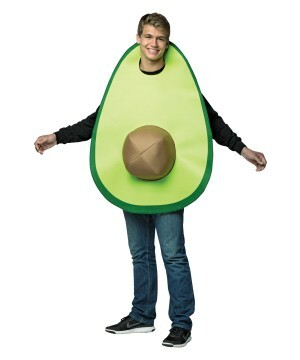 If you are an avid festival goer, a food costume will fit right in with the crowd. At a festival or concert where the idea is to go completely wild, a giant taco costume is about as wild and abstract as you could find; try pairing it up with a drink costume to go into deeper levels of abstract. Just go to a rave or and see how “out there” the outfits will get. We have gone to great lengths to bring you outrageous food costumes to make a rock star out of you at music festivals and whatever other occasion gets you in touch with your wild side. Just be careful, however, someone may try to eat you up! 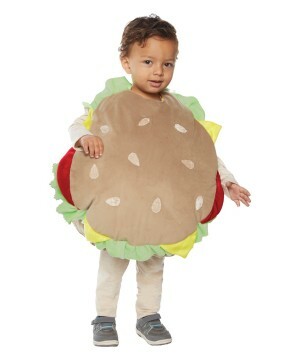 Kids in Food Costumes—You Just Want to Eat Them Up! Your kids, especially the babies, probably look adorable in any costume that you put them in, but a food costume “takes the cake” for cute! Ever hear the expression “I could just eat them up”? Well you can make those silly puns into something way more adorable and possibly mean them. 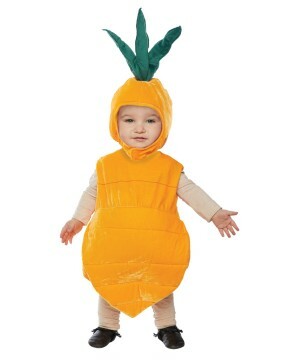 Imagine a baby dressed up as a hotdog, mustard and all, for Halloween? Words can’t even describe how cute that would be! Babies are already adorable as it is, but when you pair them up with a food costume, the combination is absolutely yummy. 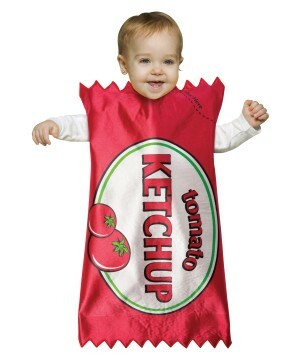 Kids food costumes will make for unforgettable family Halloween photos. Dress up with the little ones and have a whole line-up of produce, deli meats, and baked goods for fun-tastic time. 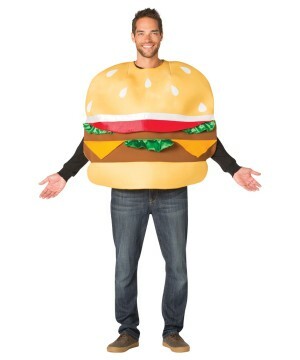 No matter if you are tall or short, big or skinny, we have awesome food costumes that will feed your imagination. 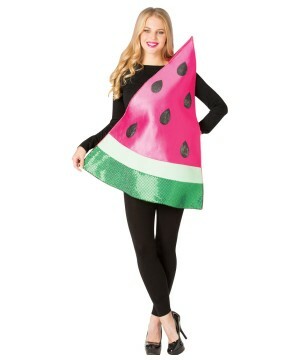 Become your favorite drink, fast food, veggie or candy; Wonder Costumes caters to the whole family with Halloween attire to make trick-or-treating or costume parties a fun experience full of creativity. 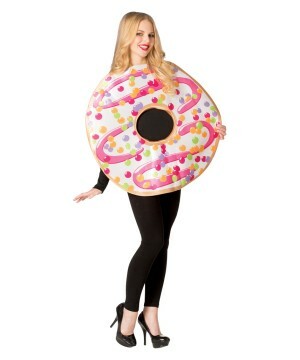 Take a look and find yourself a tasty food costume that fits your taste. 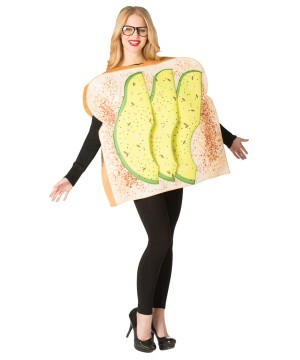 Make a statement with a food costume and get tasty today! You can contact us if you have any questions by Phone: 1-800-288-9916 or send us an e-mail at info@wondercostumes.com. We hope you enjoy your online costume shopping experience!